Like every year, Forbes magazine published the annual billionaires list yesterday. In case you didn’t know, “The World’s Billionaires” is an annual ranking that’s created based on the net worth of the world’s wealthiest individuals. The new list was compiled and published in March 2018. 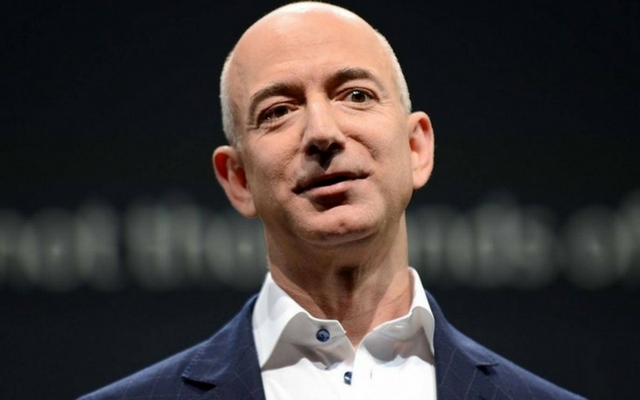 According to the list, Amazon chief Jeff Bezos is once again the world’s richest person. He’s referred to as the “Centi-billionaire,” and he is the only figure to appear in the list with a 12-figure fortune. Forbes noted that Bezos’ fortune shot up to $112 billion (roughly Rs. 7.27 lakh crores), and Amazon’s shares rose 59-percent over the past 12 months. The Amazon founder moved ahead of Bill Gates, who is now the second richest person globally with a fortune of $90 billion. Legendary investor Warren Buffett managed to hold on to his number-three ranking, whereas Facebook co-founder Mark Zuckerberg is at number fifth on the list. Talking about some Indian billionaires, unsurprisingly Reliance Industries chairman Mukesh Ambani led the way, as his wealth surged to a whopping $40.1 billion. He is the richest Indian for the 11th year in a row. According to Forbes, India is home to 119 billionaires, which is 18 more than last year. Ambani is ranked 19th globally, beating out the likes of Alibaba founder Jack Ma. It is also worth making a note that Donald Trump is now ranked 766th on the list. He is down from 544, and his fortune fell $400 million since March 2017.